Qinghai-Tibet Trains line links Tibet and other cities in China. It stretches 1956 kilometers from Xining to Lhasa. The Qinghai-Tibet railway construction took a long time and overcame many difficulties of climate and environment. The modern design of the trains not only considers comfort but also solves the difficulty which caused by the climate and environment of the plateau. At present, there are direct trains to Tibet from Beijing, Shanghai, Chengdu, Xining, Chongqing, and Guangzhou. Other indirect trains from Shanghai, Chongqing, and Guangzhou will stop at Xian. Qinghai Tibet Railway is the first railway in China to use the Incremental Train Control System (ITCS) for enhanced train control. Train stations with this system installed do not need signaling device or rail track circuitry. Instead, only the railroad switch devices are implemented. ITCS combines automatic block, train station interlock control, and train speeding control in one package, controlling the train when it stops at or passes through the station or when it is performing other related activities. 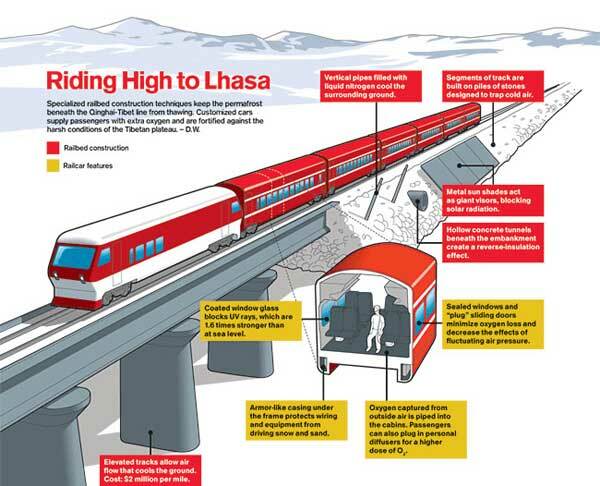 The Incremental Train Control System of Lhasa Express combines automatic block, train station interlock control, and train speeding control in one package. The wireless network system implemented is for the automatic backup of ITCS System Event Log when the train enters the station. Qingzang Railway has 78 locomotives in total. Each locomotive is equipped with one ORing TAR-120, while the train station control center is also equipped with one ORing TAR-120 – for a total of 79 TAR-120s used. On each locomotive, the TAR-120 is connected to the DVR that records the ITCS System Event Log. 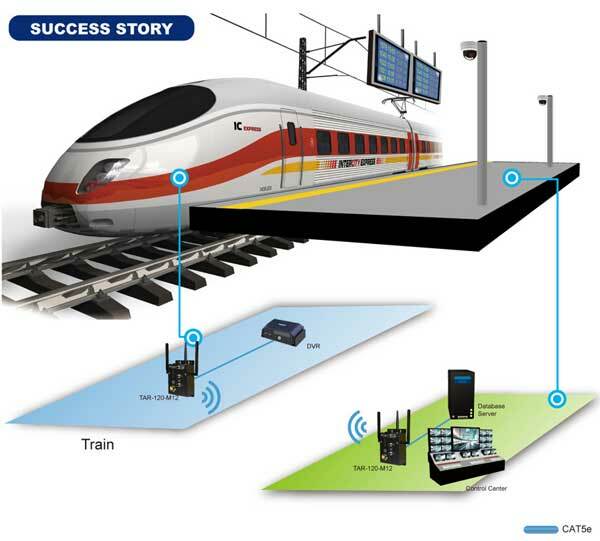 When the train enters the station, the TAR-120 on the locomotive communicates with the TAR-120 in the train station control center, and the ITCS System Event Log would be successfully uploaded to the train station control center. Customized cars of Lhasa Express (Tibet Train) supply passengers with extra oxygen and are fortified against the harsh conditions of the Tibetan plateau.